The international response to last Friday’s terrorist attack in Paris continues to intensify. Investigations by French authorities have led to multiple arrests in Belgium and France, and an international warrant has been issued for the Belgian citizen believed to be the mastermind for the attack. French President François Hollande descried the attacks as “an act of war” and has intensified French airstrikes against Islamic State targets in Iraq and Syria. Within the United States, the response to the attack in France has been shaded by the ongoing Presidential primary process. Republican presidential candidates from Donald Trump to Bobby Jindall have called for a range of military actions, from increased airstrikes to deploying American ground forces. Democratic candidates have generally supported President Obama’s existing strategy of airstrikes to support anti-ISIS forces—most notably rebels in Syria and Kurds in Iraq—rather than deploying US soldiers directly on the ground. But perhaps the sharpest difference has been on the response to Syrian refugees. Noting that one of the terrorists killed in the Paris attack carried a Syrian passport, Republican presidential candidates have called for responses to address immigration. Some have called for an outright ban on refugees from Syria, while others have called for a religious test, limiting immigration to “true Christians” only. Governors of more than fifteen states have said that they would not accept Syrian refugees—proclamations that may be more symbolic than effective. But according to German sources, the Syrian passport was likely a fake intended to paint the attackers as Syrian refugees and provoke precisely this response. What do you think? Should the United States and other Western countries take steps to limit the ability of Syrian refugees to seek asylum abroad? Why? Does such a move strengthen ISIS’s narrative, as President Obama suggests? Why? And how do you think the United States should respond to the Paris terror attacks? The Islamic State burst on to the international scene in 2014 after capturing large portions of territory in Iraq and Syria. Originally referred to as ISIS (the Islamic State in Iraq and Syria) or ISIL (the Islamic State in the Levant), the organization has launched operations in countries as far as Australia, Belgium, Egypt, Lebanon, Libya, Norway, and elsewhere. What do you think? What, if anything, can be done to prevent terror attacks like that in Paris yesterday? How might France, the United States, and others work to address the growing reach of the Islamic State both in Europe and the Middle East? And how might the attacks affect EU migration policy as the European Union struggles to address the influx of Syrian refugees fleeing ISIS in Syria? What’s Driving ISIS? How Can It Be Stopped? The Islamic State claimed responsibility for several terror attacks last week. In Tunisia, 38 people were killed when a gunman opened fire at a beach popular with foreign tourists. The government responded over the weekend by announcing the closure of 80 mosques it blames for spreading radical Islam. In Kuwait, a suicide bomb attack outside a Shiite mosque killed 27 and wounded more than 200. And in France, a man crashed his van into a chemical factory in an attempt to cause an explosion and release chemicals into the air. ISIS claimed responsibility for all three attacks, though no independent authority has confirmed the group was involved. Interestingly, the attacks all took place during the holy month of Ramadan, which began this year on June 17 and historically has been viewed by most Muslims as a time for fasting, reflection, and prayer. For many ISIS fighters, Ramadan is viewed as an opportunity to expand the organization’s reach. What’s driving ISIS’s current efforts? There are several interpretations. In this interview with the BBC, Majid Nawaz, Chair of the Quilliam Foundation, offers a complex interpretation of current events, suggesting that the expansion of the Islamic State is driven by a combination of factors that includes foreign policy, identity, underemployment and other grievances interpreted through a lens of Islamism that provides justification and inspiration for action. If correct, his analysis suggests a response rooted in isolating and challenging radical interpretations of Islam (and by extension, other religions) that lead to radicalization. What do you think? Do you agree with Nawaz’s analysis? Why? And what does it suggest for efforts to prevent the apparent spread of Islamic State terrorists? Demonstrators took to the streets of Paris this afternoon, less than twelve hours after a terrorist attack on a satirical newspaper resulted in the death of twelve people, mostly journalists and cartoonists working at the paper. Protestors were expressing solidarity with the dead, holding signs that read “Je suis Charlie” (I am Charlie), in honor of the paper, Charlie Hebdo. The paper had been threatened by extremists after publishing several images critical of the prophet Mohammed, a violation of Sharia law. The paper had previously been the target of a firebomb attack in 2011. Paris police are searching for the three terrorists who escaped in a car after the attack. Some observers are warning that this style of attack is likely to become more common. Local attacks supported by a larger organization have proven much harder to detect that the al Qaeda-style cells that were responsible for the 9/11 attacks. What do you think? Does the attack in Paris signal a rise in the threat posed by terrorists on the global stage? How will the strategies employed by the United States and its allies change to adapt to the new threat? 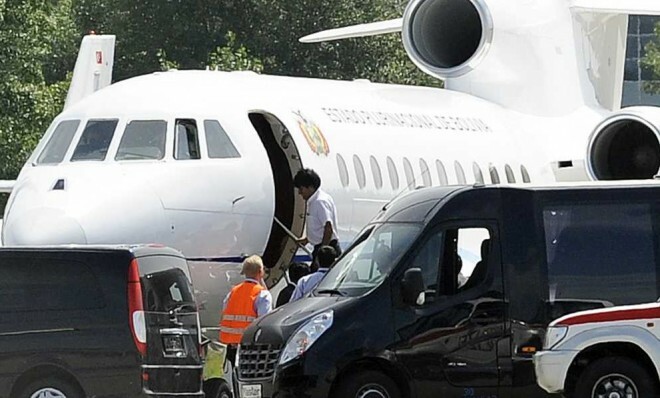 Bolivian President Evo Morales re-boards his plane in Austria. A plane carrying Bolivia’s President, Evo Morales, was forced to land in Austria after being denied access to French, Italian, and Portuguese airspace. Once on the ground, the plane was searched by Austrian officials to verify it was not carrying Edward Snowden, the former National Security Agency contractor accused of leaking the existence of a secret US surveillance program known as Prism. After it was determined that Snowden was not aboard, the plane was allowed to continue along its original route, ferrying the Bolivian President home from a conference in Moscow. The move, which Spain hinted was the result of US pressure, was been widely condemned by other Latin American governments. Ecuador’s President, Rafael Correa, called the move “an affront to all America,” and Argentina’s President, Christina Fernandez de Kirchner, condiment the move as “a relic of colonialism that we thought was completely overcome.” A special conference attended by the Presidents of Argentina, Bolivia, Ecuador, Uruguay, and Venezuela, and with representatives from several other countries in attendance, was convened in Cochabamba, Bolivia, to address the diplomatic row. And Bolivia announced that they may seek to close the US embassy in his country to protest the violation of international law. There is a longstanding tradition of diplomatic immunity—that diplomats are given legal immunity and safe passage, and that they are not susceptible to lawsuit or prosecution under a host country’s law. These rights traditionally extend not just to credentialed diplomats, but also to heads of state. Such rights are recognized to ensure they can carry out the official duties of their office without intimidation or interference. Imagine the response from Paris, let alone the “international community”, as the governments of the west call themselves. To a chorus of baying indignation from Whitehall to Washington, Brussels to Madrid, heroic special forces would be dispatched to rescue their leader and, as sport, smash up the source of such flagrant international gangsterism. Editorials would cheer them on, perhaps reminding readers that this kind of piracy was exhibited by the German Reich in the 1930s. The forcing down of Bolivian President Evo Morales’s plane – denied airspace by France, Spain and Portugal, followed by his 14-hour confinement while Austrian officials demanded to “inspect” his aircraft for the “fugitive” Edward Snowden – was an act of air piracy and state terrorism. It was a metaphor for the gangsterism that now rules the world and the cowardice and hypocrisy of bystanders who dare not speak its name. If it becomes clear that the United States was behind this action – it has not yet admitted responsibility – this incident will go down in history as the defining episode of US-Latin America relations during the Obama administration. It suggests that the United States still considers Latin American countries less than fully sovereign. Nothing angers people in those countries more. What do you think? Was the decision to search Bolivian President Evo Morales’s plane a violation of international law? Will the decision have longer-term negative impact on US influence in the region? Take the poll or leave a comment below and let us know what you think. 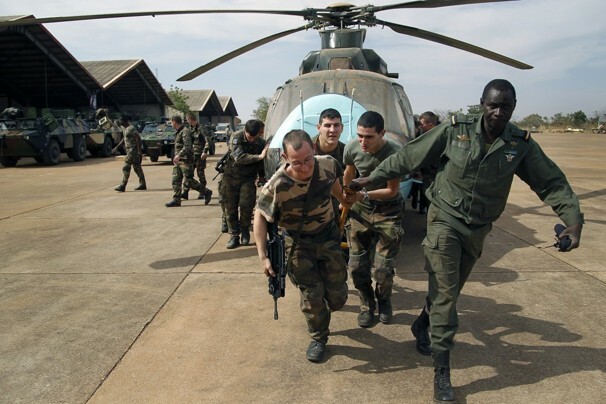 The French government last week called on West African leaders to “pick up the baton” and support military operations against Islamic insurgents in Mali. France has already deployed more than 2,000 soldiers and is currently conducting air and ground operations authorized by a United Nations Security Council resolution. Other governments, including Chad, Nigeria, Senegal, Burkina Faso, Niger, Togo, Benin, Ghana, and Guinea have committed to sending soldiers, and Britain, Denmark, and Belgium are providing material support. The United States has offered to provide communications support, but has declined so far to commit soldiers or air support. It is clear that France has already moved beyond the original UN-backed strategy, which called for Western governments to provide training and material in support of an African-led military intervention. Rather, French forces appear to be taking the lead in operations, with other governments in the region responding more slowly. The politics of military coalitions are always interesting. Basic behavioral economics suggest that there is little incentive for a government to pay for something it can get for free. In game theory, this is referred to as the free-rider dilemma. In global politics, more powerful countries (often the hegemon) pay a disproportionate cost. The United States, for example, has borne the lion’s share of the costs associated with interventions in Iraq and Afghanistan. But recent developments in Libya and Mali suggest a slightly different strategy at play. 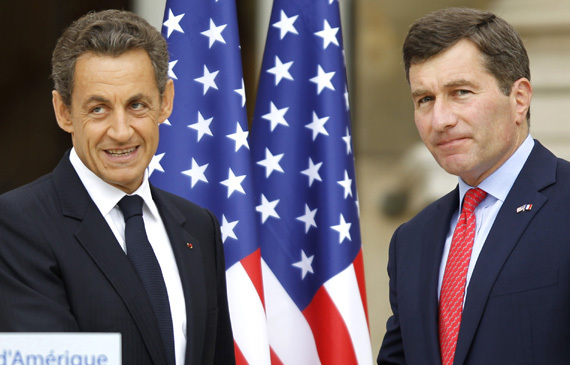 In both cases, the United States appeared willing to let others—France in the case of Mali, and the European Union in the case of Libya—take the leading role. Does this represent a shift in American military thinking? Likely, the answer is no. While the Obama administration expresses a stronger commitment to multilateralism than the Bush administration did, it has already shown a willingness to undertake unilateral action when it perceives the national interest is at stake. The ongoing drone strikes in Pakistan are case in point. However, where it sees the US national interest is less at play, the Obama administration appears far more willing to let other states pursue policies that align with US interests abroad.